5 Ultimate Sectors for Long-term Investment in India. When you are investing in stocks for the long-term, the first critical factor to check is the life-span of the products/services offered by that company. The products should be in use for at least the next 10-15 years. The last thing you want is that people do not need that product anymore and the company ran out of business. Further, if you want to make good profits from stocks in long-term, then make sure that you are investing in the growing sectors. Few sectors in India like utility, mining etc were good in the past as they were growing at a decent pace at that time. However, these sectors will hardly grow any more in the future (with the same speed). On the other hand, few industries like technology, machine learning, renewable energy, electric vehicles etc are on the verge of the rapid growth. 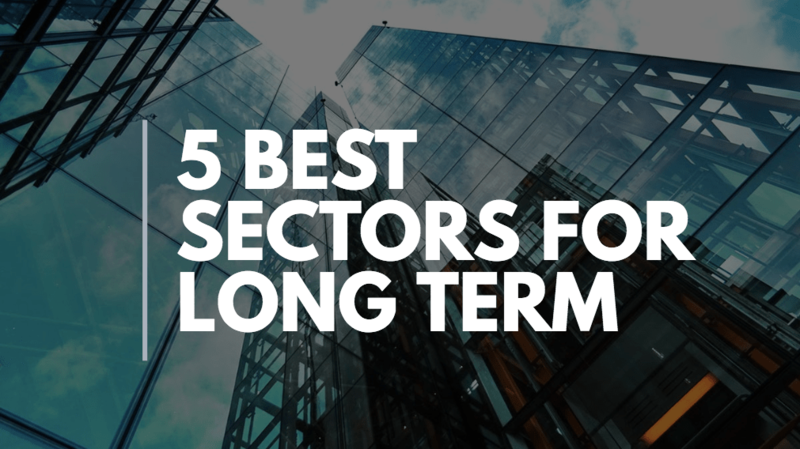 In this post, we are going to discuss five best sectors for long-term investment in India for consistent returns. So, let’s get started. The 20th century was the era of manufacturing. From the 1990s to 2010, it was the time for the internet boom. And currently, it’s the time for information. As a general matter of fact, IT companies are growing at a much faster rate compared to the manufacturing companies. And obviously, skilled employees in the information technology industry are earning a lot more than those in the traditional industries. There are many factors that are boosting the growth of this industry like technological advancement, economic needs, the Indian government taking beneficial decisions (digital India) etc. Considering these factors, the information technology industry can be assumed to continue to grow. And hence IT stocks can be treated as one of the best sectors for long-term investment in India. Few of the major players like IT Industry like TCS, Infosys, WIPRO, HCL, Tech Mahindra etc has already established a good brand value and created huge wealth for its shareholders. Nonetheless, these companies can still be considered as a safe bet for the long-term. However, if want fast-growing stocks with good upside potential, the mid-cap IT industry stocks are an amazing fit for long-term investment in India. Will the people still be using soaps, shampoo, surf, oil etc– 15-20 years from now? I think so. FMCG is the most defensive sector for long-term investment in India. Most of the products in this Industry have been used by the people for over 100 years and yet will continue in the future. Few FMCG companies like HUL, Dabur, Emami, ITC, Nestle etc are common names in Indian-houses. Majority of the people living in Indian cities/towns have been using their product for a very long time. Unlike many sectors which follows the contraction and expansion cycle, the products offered by FMCG industry will always be in demand. During a recession or economic crisis, people may not buy a new automobile or might not take new loans or avoid investing in real estate/infrastructure, but because FMCG products are the basic necessities- its demand won’t decrease as much compared to the other industries. In the past few years, these companies have also started growing in the Indian rural areas/villages. Earlier, people in rural areas do not like to use the products of FMCG companies. However, the trends are changing these days. Therefore, these companies have a very good growth opportunity in those areas area. If you are looking for a safe industry to invest, then FMCG industry is one of the best sectors for the long-term investment in India. India is a growing country (in fact the fastest growing country in the world). And housing finances companies or NBFC (Non-banking finance companies) are going to play a crucial role in the growth story of India. This is easily one of the best sectors for long-term investment in India. Unlike major public sector banking companies in India, housing finance companies are performing well for the past many years and will continue to do so. They have actually a low NPAs (Non-performing Assets) when compared to the PSU banks. 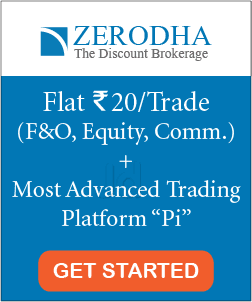 Few major players in this industry can be HDFC, LIC Housing Finance, Indiabulls Housing Finance, GRUH Finance, and DHFL. 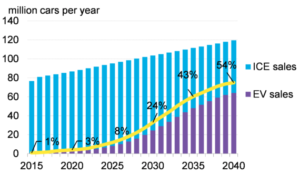 It’s safe to say that the world (along with India) will run on electric vehicles by 2030. Therefore if you are futuristic and want to invest in the best sectors for long-term investment in India- you might not want to miss this revolution. Now, if you study electric vehicles, you will find that few important parts which make the EVs are batteries, braking system & micro-controller. Of course, other routine auto parts like body, tires, driving system etc are also involved- but these three are the critical ones. For making electric vehicles successful, batteries should be powerful and efficient to run longer distances without discharging. Different companies are already working to improve the technology of existing lithium-ion batteries. Apart from lithium, aluminum is another metal which is going to play an important role. Aluminum will be used in car structures as they are excellent conductors. (Read more here- the electric vehicle revolution will spur aluminum demand). Batteries: Amara Raja, Exide Industries, Eveready. Metals: Hindalco, Vedanta, NALCO (National Aluminium Corp), Graphite India, Hindustan Copper. 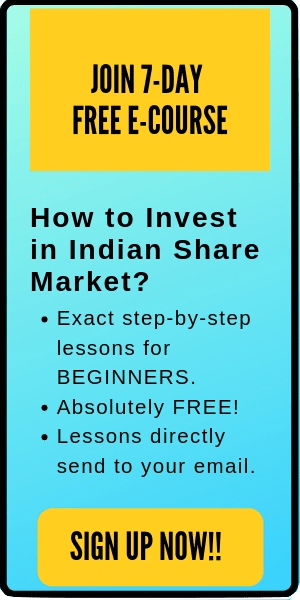 Auto Companies: M&M, Tata Motors, Maruti Suzuki, TVS Motors, Hero Motocorp, Bajaj Auto. Note: Although auto ancillary companies (like Minda Industries, Motherson Sumi etc) will also play a significant role, however, to keep this answer streamlined, I didn’t not focused on them. Nevertheless, even those companies have an amazing potential to reward its shareholders in the long-term. When you go to a developed country, what is the first thing that you notice? Big buildings, towers, flyovers etc, right? For growing countries like India, the growth is the infrastructure is the fastest. You might have already noticed the continuous work in building new airports, railway stations, metro etc in India. Infrastructure companies are the key players in the growing countries and hence are obviously this sector of the best sectors for the long-term investment in India. Few major players in this industry are L&T, Adani Ports, GVK Infra etc. It’s really impossible to ignore the pharmaceutical industry when we discuss long-term. Although this sector is in bear phase for last few years, however, they are few one of the best sectors for long-term investment in India. With the evolving technologies, pharmaceutical companies are investing heavily in their research and development activities. Many of these companies are consistently developing better & cheap drugs and are also getting support from the government. Few of the major players in this industry are Lupin, Sun Pharma, Glenmark Pharma, Aurobindo Pharma etc. Long-term investment in consistent industries can help you to build great wealth to secure your future. Many large-cap companies like Infosys, WIPRO, HUL etc has amazingly rewarded their loyal shareholders. As an intelligent investor- it makes much sense to invest in the growing sectors for long-term investment in India. Nevertheless, an important lesson to learn here is that not every growing sector is going to give amazing returns. For example- Internet companies gave amazing returns in the 1990s and 2000s as they were growing at a good pace then. However, the same was not true for the airline industries during its peak. The airline industries started growing at a good pace during the 1970s. It was considered revolutionary as people argued that it will change the whole course of the transportation sector. And obviously, the people were investing heavily in airline companies. Although the industry did grow a lot in the past 50 years, however, hardly any airline company stock in India gave consistent returns or became a huge multi-bagger. Therefore, while selecting the best sectors for long-term investment in India- the best approach is to diversify. Allocate funds in different sectors that you believe will grow -so that the risk is diminished and you also don’t miss out any booming sector.